In my last blog post, I wrote about Transnational Education Partnerships as a growth area. They are, of course, just one type of international partnership in which higher education institutions engage. Beyond collaborative programme delivery, partnerships can be developed to foster research activity, facilitate student exchange, provide staff development opportunities, boost knowledge transfer, build institutional capacity, improve funding prospects, strengthen global positioning and more. But what makes an international partnership strategic? The term ‘strategic’ is often used loosely. In 2016, the European Association for International Education published the findings of its EAIE Barometer survey on international strategic partnerships. The survey was completed by representatives of around 1500 European HEIs. 75% of respondents perceived the number of international strategic partnerships at their institution to have increased over the last three years. Many institutions reported astonishingly high numbers of ‘international strategic partnerships’. The record was set by Spain where the average number of partnerships per institution was 184. Can all of those partnerships really be strategic? Is the quantity of international partnerships being used by some institutions as a badge of honour, an indicator of just how ‘internationalised’ they are? 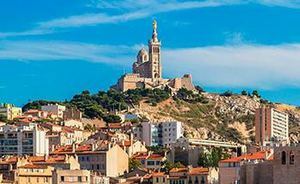 Anyone involved in developing or managing strategic international partnerships at their institution may be interested in a two-day training course that I’m co-leading at the EAIE Spring Academy in Marseille at the end of April 2017. The course is called ‘Strategic International Partnerships: Secrets for Success’ and my fellow trainer is Matthias Kuder, co-author of the chapter ‘Current Trends in Strategic International Partnerships’ in a joint IIE / DAAD book on the subject published last year. We’re planning an interactive couple of days when we will identify what makes a partnership strategically important for different institutions, learn practical approaches to engage stakeholders, overcome challenges and measure progress, and consider the critical success factors at key stages in the partnership lifecycle. There’s more information here on our course and on other courses within the EAIE Spring Academy programme. The dates of our course are 27-28 April and early bird registration runs until 6 March 2017.